Two tragedies this week involving guns have rocked the headlines. First I was shocked to hear about Oscar winner Jennifer Hudson’s worst nightmare come true with her mother, brother, and 7 year old nephew being murdered. I can’t even begin to imagine the horrific pain she and her family must be going through. Losing my mother to cancer was awful enough…I can’t even begin to comprehend losing three of the most important people in my life to a shockingly gruesome crime. It is suspected her former brother-in-law committed the murders. And guess what? Whoever did this didn’t use a Chinese throwing star. How do you point a gun at a child and shoot him several times? 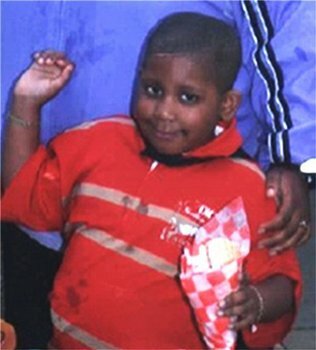 An innocent 7 year old is dead. What do we have to say about that? Another innocent child is dead today because stupid parents and uzis don’t mix. Eight-year-old Christopher Bizilj of Conneticut went to Massachusetts to a Gun Show where his parents allowed him to fire an uzi. A FREAKING UZI AND HE WAS 8!!! Poor young Christopher shot himself in the head when he lost control of the gun when it backfired. Just the thought of this little boy accidently killing himself with this powerful weapon is enough to make my heart break into pieces. This was done under “adult supervision.” Yeah, stupid adults. As a mother of a child only a year younger than Christopher, I can’t imagine putting an uzi in her hands and letting her shoot. Are you kidding me? Now I realize that saying the Bizilj family is devastated is a gross understatement and my deepest sympathy goes out to them. And I know this is probably going to be the hardest lesson they ever have to learn. Seven-year-old Julian King and eight-year-old Christopher Bizilj are NOT acceptable losses to me. I believe in the Second Amendment, but I also believe that those who wrote the Bill of Rights never imagined hand guns, UZIS, sub-machine guns, et al. You don’t need a sub-machine gun to hunt. Unless you’re taking down a moose from a plane. When are we going to say enough is enough? When are we going to say that PEOPLE are more important than GUNS? How many more children have to die before we learn? Dear, sweet Muncho, it is you that I love. You are the tastiest chip ever to grace my palate. Your salty crispness brings joy to my heart. You are a mini chip vacation after a stressful day. Combined with the sweet nectar of Mountain Dew, you are perfection. 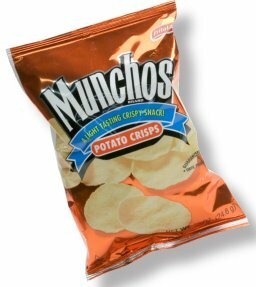 Why, dear Muncho, can I only buy you at the gas station? I want to see your beautiful orange cellophane wrappers line the shelves of my grocery store. No other chip can compare to you. I try to savor you one delicious bite at a time.